No two vehicles are perhaps more different than a Prius and a diesel truck. So, it comes as no surprise that the owners of each might have some differences of opinion on things. 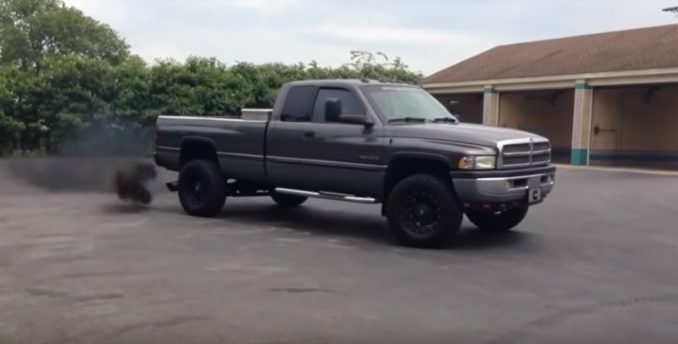 But, when one Prius owner saw what a couple was doing in a diesel truck in a parking lot, she freaked out — and it was all caught on video. That’s when mama bear’s claws come out. 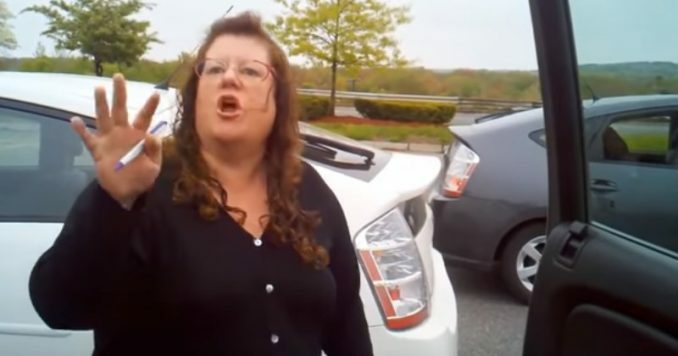 Since the pushy Prius owner established that name-calling was acceptable, the mom, who was on the phone, had a few choice words of her own to describe the woman as she started to walk away. Insisting on the last word, the eco-friendly car driver turned back to the family to spout off again. But, this time is so much worse for obvious reasons. 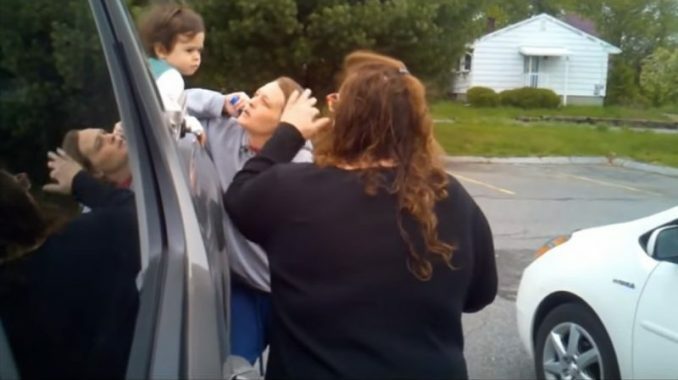 Getting entirely too close to the woman and her child while speaking in an aggressive tone and waving her arms around, the Prius owner is lucky that exhaust fumes were the only thing in her face that day since she presented herself as a threat. 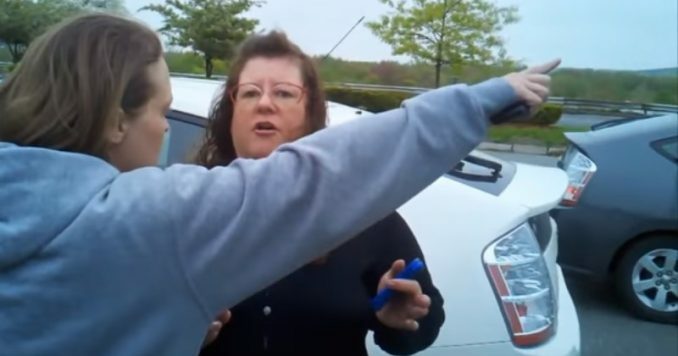 It’s clear the dad was concerned as he hollered his wife’s name in a tone of uncertainty when he saw the crazed woman circling back around to have words with the mom, who was standing at the truck in a protective mode, guarding her kids against the unhinged woman. Although this guy did a great job at staying calm, you can’t argue and expect to make any progress with an irrational person. It’s impossible to have an honest dialogue with people who conduct themselves like tantrum-having children. 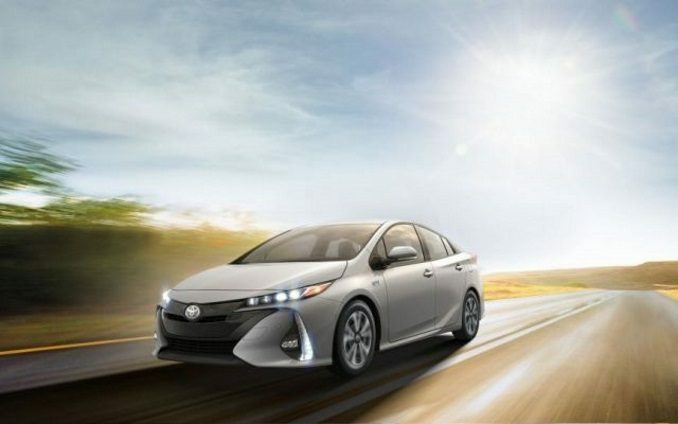 But, his restraint was praiseworthy, and even other Prius owners applauded it when it made its way to a Prius chat forum, where the Prius driving woman was highly criticized for her behavior. Sometimes, you have to accept the fact that there’s a time to stand your ground, and then, there’s wasting your time. There were plenty of empty spaces, so the senseless confrontation could have been avoided. Let’s face it, this dispute was just an argument for the sake of an argument. But, they gave the rest of us a great example of people behaving badly and how to remain calm when dealing with them.